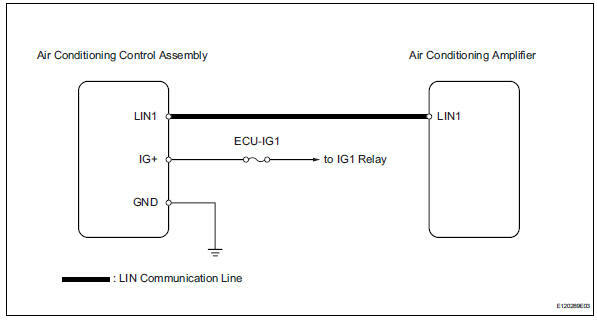 This circuit consists of the air conditioning control and the air conditioning amplifier. When the air conditioning control is operated, signals are transmitted to the air conditioning amplifier through the lin communication system. 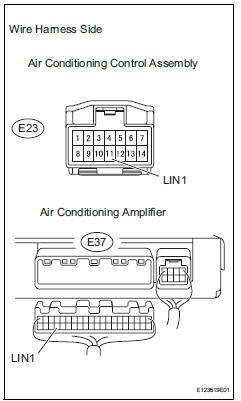 If the lin communication system malfunctions, the air conditioning amplifier does not operate even if the air conditioning control is operated. Disconnect the air conditioning control assembly connector. 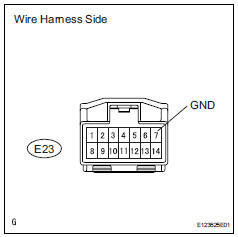 Disconnect the e23 air conditioning control assembly connector. 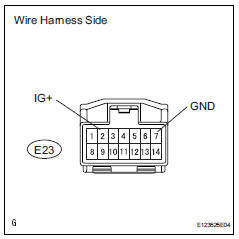 Disconnect the e23 control connector. Replace the air conditioning control with a new or properly functioning one. Operate the air conditioning control to check that it functions properly.